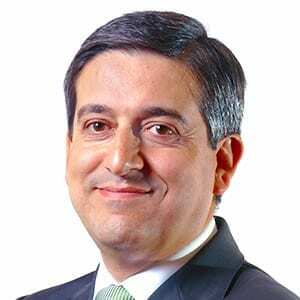 Jorge Pereira is Chief Executive Officer (CEO) since February 2011, Partner and Administrator of Infosistema, S.A. He is Senior Consultant and CxO Advisor on information systems (IS) with 19 years of experience and general management (C-level). Having both technology and business knowledge, he specializes in helping clients, primarily of Financial Sector (Banking and Insurance), understanding their business needs, planning their information architecture and implementation road-map, transversely to the organization and aligned with corporate business strategy. 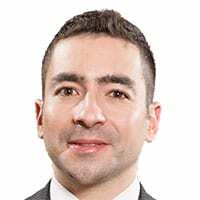 Much of his experience has been applied to the development of strategies for IS, investment decisions, processes optimization (BPM) and business & software factories, responsible for directing multiple projects and has published several scientific and opinion articles. He was also responsible for business development, team management, corporate communications and go-to-market (GTM) initiatives. 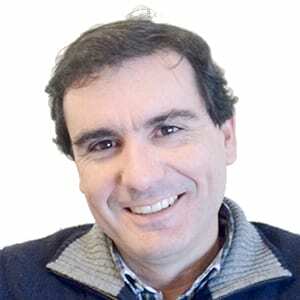 He has completed the PhD in Computer Science in UTAD, with the title: “CRUDI Framework – Maximizing ROI and Agility in Information Systems investment decisions”. Master’s degree in Computer Science (2010), directed to the subject “Accessibility in the Platforms of Public Act of Contract in Portugal and the Evolution of norms WCAG 2.0”, by UTAD. Since 2007 he participates in the permanent work group of the APDSI for Electronic Business (GNE). Between 2006 and 2008 he participated in the work group coordinated by UMIC for the definition of standards (2.0 UBL CS) of Electronic Invoice in Portugal and pilot projects execution (SG MAI). From January, 1999 to January, 2011, he was Sales VP and Board member on Infosistema, S.A.. Between 1996 and 1998, he was a Consultant for specialized training and customers technical consulting, on Oracle technology, having the Oracle Certified Professional “Oracle 8i: Architecture and Administration” certification. In February 1996 co-founded Infosistema, starting with professional services for Oracle Portugal. 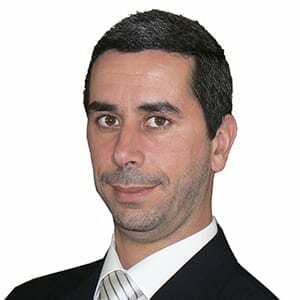 He initiated his professional career in 1994 in Oracle Portugal, in the Systems Direction, performing functions of application development and systems management. He is certified in “Teaching for Trainers Training” (1994), with the online Certificate N. F597924/2012. He is graduated (1994) in Electronics and Computers Engineering by Instituto Superior Técnico (IST).